← The Photographer’s Eye or the Eye of the Camera? In the late 1970s and early 1980s, a group of conceptual artists—including Richard Prince, Cindy Sherman, and Sherrie Levine—known as the Pictures generation, began using photography and appropriation techniques to examine the strategies and codes of visual representation. In 1981, while many of her contemporaries got their inspiration from everyday life images and the mass media, Sherrie Levine began re-photographing reproductions of photographs by canonical male modernist photographers like Edward Weston, Walker Evans, and Alexander Rodchenko. Although they differ from their primary source in size, surface, and resolution, Levine’s re-photographed photographs were almost indistinguishable from the originals. When she exhibited her series “Untitled, After Walker Evans,” presenting photographs of reproductions of Evans’ photographs taken during the Depression for the FSA, the show was both a scandal and success in the New York art scene. It became a landmark of postmodernism, both praised and attacked as a rebellious feminist intervention in the rigid construction of the photography canon and a critique on the commodification of art. 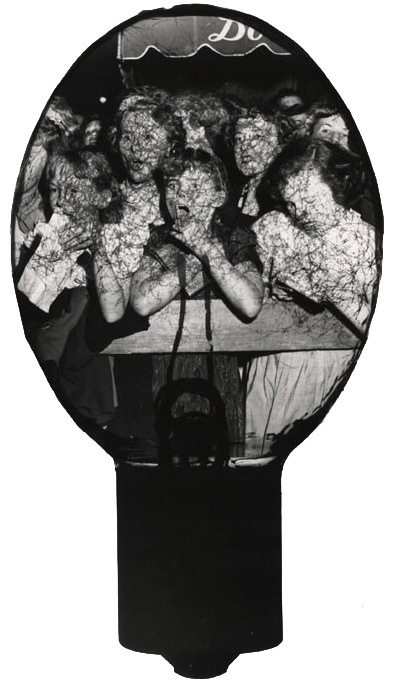 Postmodernist photographers like Levine rejected the idea that photographs could offer us insight into reality. According to these photographers, authenticity has never existed, and all art—including photographs—never depict reality but only an idea of reality. Levine, on the basis of this premise and through the re-photographing of these images, is criticizing conventional notions of originality and attacking the glorification of authenticity, artistic mastery, and authorship. She suggests that pictures never reflect the authentic reality, but that composition, choice of subject, lightning, etc., are all determined by a cultural discourse that is owned by nobody. The postmodernist art critic Craig Owens claimed that Levine is stressing the act of appropriation by photographers such as Evans: “In representing these canonical images of the rural poor—the expropriated—Levine was calling attention to the original act of appropriation whereby Evans first took these photographs [FSA project], as if to illustrate Walter Benjamin’s observation, in ‘The Author as Producer,’ on the economic function of photography: ‘[Photography] has succeeded in making even abject poverty, by recording it in a fashionable perfected manner, into an object of enjoyment, i.e., a commodity'” (Craig Owens, Beyond Recognition, p. 114). Levine prefers to view her work as a regenerative act of collaboration, transforming the masterpiece into something organic and continually renewable. Because art cannot show an authentic reality, the artist is no longer the exceptionally gifted fellow, that artistic genius, who has a better understanding of that reality than just average citizens like you and me. Intern Collections at the International Center of Photography, New York and MA student Film & Photographic Studies at Leiden University, the Netherlands. This entry was posted in Fans in a Flashbulb and tagged Alexander Rodchenko, appropriation, authenticity, authorship, Craig Owens, Postmodernism, re-photographing, reproduction, Sherrie Levine, Walker Evans. Bookmark the permalink.